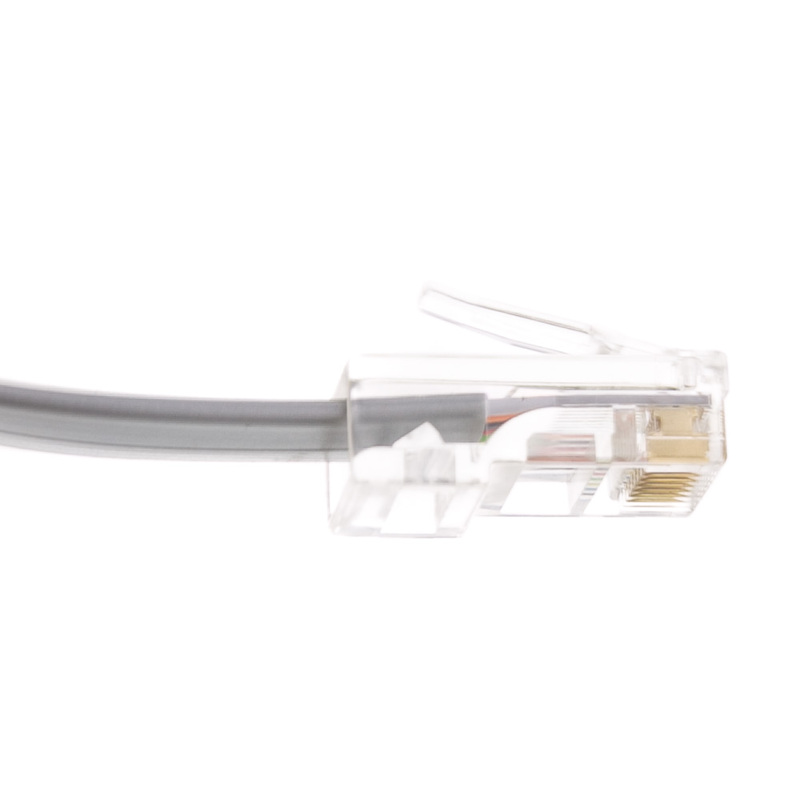 This 7ft Silver Satin Flat Telephone cable is used to connect your phone to the wall using the RJ45 8P/8C connecting. 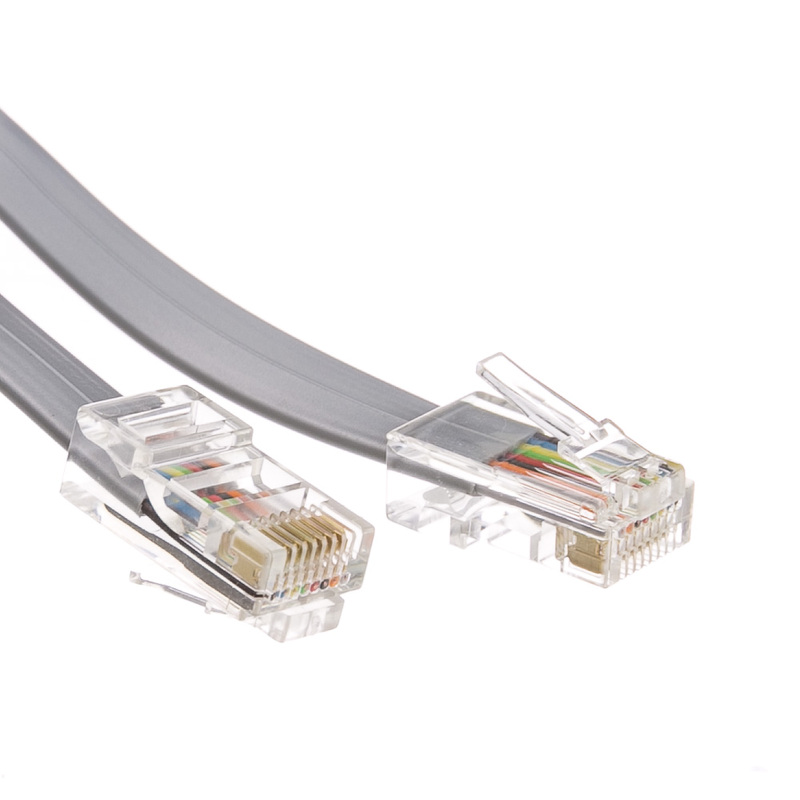 This is perfect low cost solution for transmitting telecommunication data. 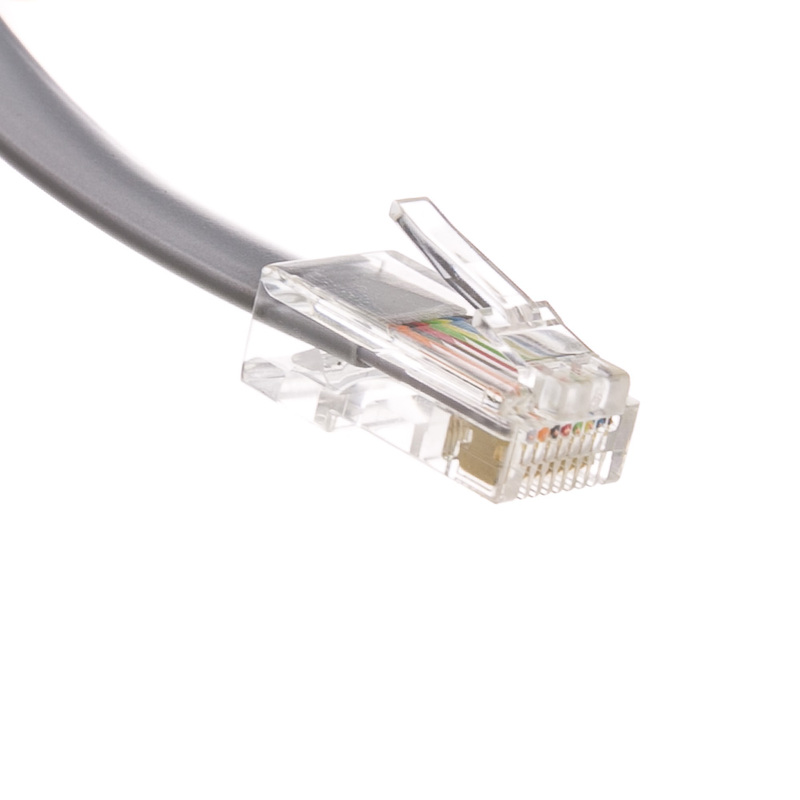 This will not work for connection internet, for this type of data you will need a Cat5e or a Cat6 cable. Good product. Does exactly what we need.